I sent an email to Florence Welch's management team asking for permission to use 'Dog Days Are Over' as the track for my music video. I stated in the letter to contact me if it is an issue. 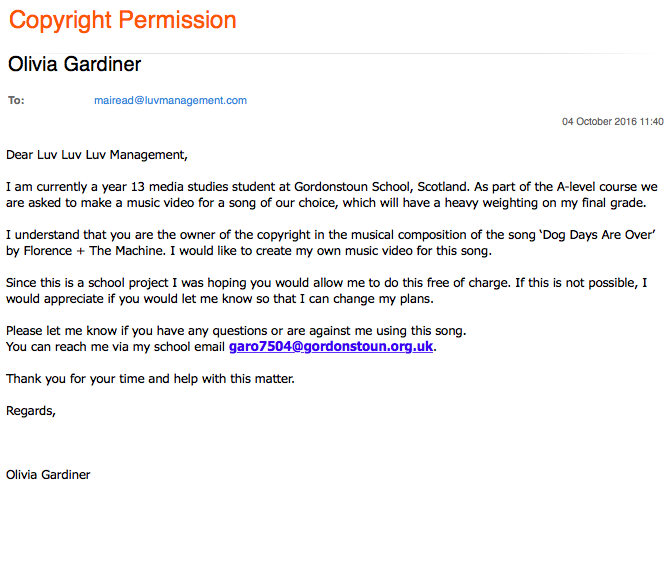 Hopefully there will be no problem and that I will be able to use the track for my coursework.